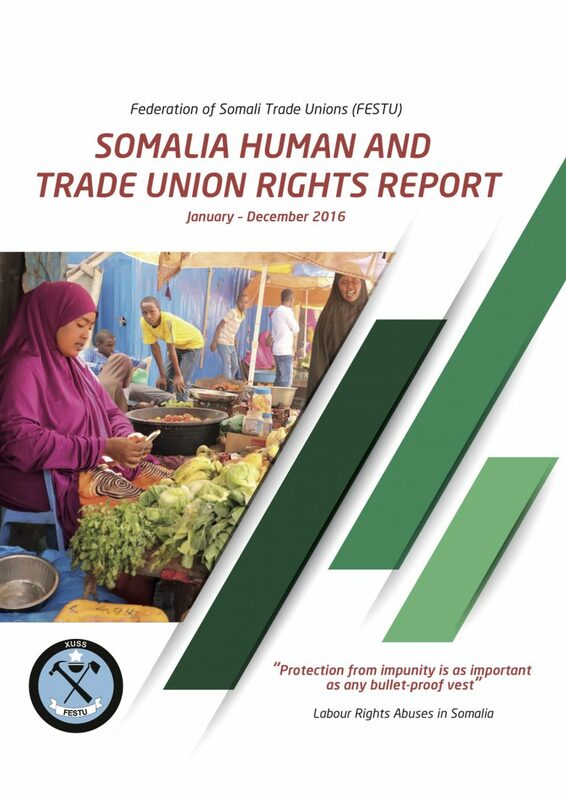 In order to have a strong voice of workers and strengthen the voice of workers, The National Union of Somali Journalists (NUSOJ), the first independent trade union established after the military government, encouraged other sectors to organize themselves into trade unions that can come together under a national trade union center to resist the terror, oppression and exploitation against workers, their families and the people of Somalia, and overall get united voice of the workers to defend the interest of workers. While the human crisis that Somalia has been facing, conflict resolution and peace building have driven the international agenda for intervention during the last 25 years, the workers who are the victims of war, malnutrition, widespread insecurity, pervasive poverty and represent the nucleus for any State rebuilding, were often left of the loop and have not been allowed meaningful participation in dialogue that aims to re-establish peace and democracy in Somalia. It was against this background that worker leaders of national unions from five sectors came together to form the Federation of Somali Trade Unions (FESTU) on 30 March 2010. FESTU constitutes the first independent national trade union center in Somalia. FESTU is not affiliated to any political party. It was founded on the principles of free, independent and democratic trade unionism. FESTU seeks to represent the interests of the working people in Somalia and that of the affiliated unions. FESTU seeks to act as workers voice and also increase visibility of trade unions in Somalia as the country tries to reconstitute itself and emerge from protracted crisis.. FESTU further seeks to integrate the interest of workers in Somalia into the international trade union movement. FESTU’s vision is to strive to achieve peaceful, stable and democratic society of Somalia where all working people of Somalia enjoy decent work, decent life, human rights respect, social protection and social justice through job creation, steady improvement of the well being of Somali people, and equal participation of women & men in the economy. FESTU’s mission is protect and promote the rights, well-being and the interests of all working people of Somalia in just, democratic, peaceful and prosperous nation of Somalia by enhancing quality of life and improving the income and other working as well as living conditions of all workers.